So, Malfoy, Malfoy, Malfoy. 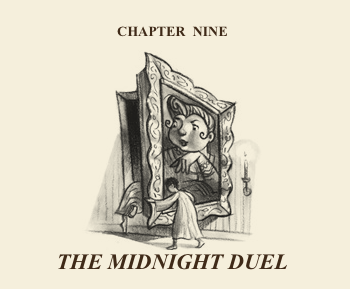 :D Their little rivalry is adorable in the first book: some name-calling, trying to get each other into trouble, highly-charged meetings in hallways... This is why tiny!Hope was shipping this like a madwoman back in the day. Ron, Harry, and Hermione's not-friendship is also terribly adorable here. Hermione trying to take care of them and being mean and shrewish instead, and the boys just being confused about her nagging. I love that she and Neville get dragged along, and their encounter kind of cements their roles in the series, where Hermione is the clever one who puts things together, and Neville is always just at the edge of the action (even as a baby!). J.K. can really end chapters, too, with that, "It looked as though Harry had found out where the grubby little package from vault seven hundred and thirteen was." I really like how Ron and Harry interact here. Ron doesn't give himself as much credit as he should. He really does provide a lot of the emotional center for Harry in these books, and without him, I am p. sure Harry would have given up and become Draco's third minion. Speaking of Draco Malfoy, in the book, he has to feel Harry's package to find out that it's a broom (okay, I may have intentionally written that out in that way because I am just that kind of person) while in the movie it's so /clearly a broom/ maybe because films are a visual medium??? and Harry's... seekership? is a secret in the books. Also, nice use of time skip here, where Harry's welp, I have been busy, look it is Halloween. It's nicely done, imho. Harry and Ron decide to warn Hermione about the troll and end up trapping it in with her in the bathroom. These kids and their lack of trust in authority figures. Let's avoid Percy, Ron says, despite the fact that he can alert the teachers or whatever, we're eleven and feisty and you're the protagonist of this book and wizarding history, we'll be fine. 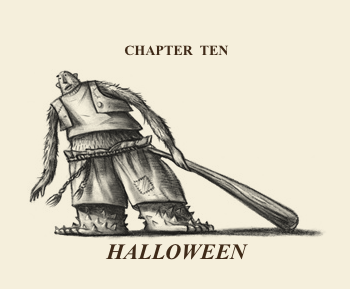 I also noticed this bit, "...even a troll will notice when you stick a long bit of wood in its nose," and it really cements the fairytale quality of this book, these little asides that make me feel like it's a story being told to me. Also, yes, now they're BFF, and they've swayed her to their dark, rule-bending ways. She was Lawful Good, but now she's got to save the world through Harry Potter. The Quidditch game itself is surprisingly easy to follow for a game that didn't exist before these books. Rowling really uses Jordan to great effect here, and even in future games. I really enjoyed the bit where you've got McGonnagall growling at Lee Jordan because this series is such a good one for humour. 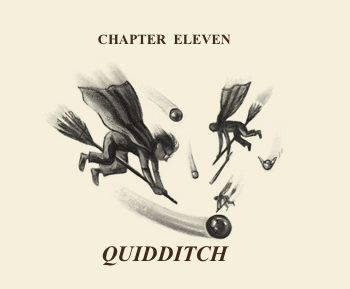 :') And then Harry 'catches' the Snitch and wow, Chekhov's rifle into the seventh book. :)) Hermione's intervention is p. interesting here, because even though she doesn't go for the actual culprit, she still saves Harry's life with trademark blue flames. That's always been an interesting detail about Hermione, and I wish I saw more fanart of her and her blue flames. I love that she was super against Snape being against Harry in the beginning of this chapter, but didn't hesitate when she needed to get things done and set a teacher on fire. Hagrid swooping in and bringing Harry to his hut for calming tea and accidental information p. cool. We learn that Hagrid's three-headed dog's named Fluffy (and his dragon, Norbert). He names his useless boarhound Fang though, so IDK. "Hagrid looked furious with himself," is a nice line to end the chapter with (How many times will I say J.K. can sure end a chapter).